In Basanti, a rural block in the Sundarbans, West Bengal, the water availability is vital for its inhabitants. Groundwater levels are decreasing, and a proper understanding of key factors influencing the water resource is required. In the following, a social review of Basanti is given followed by a geologic and hydrostratigraphic analysis. 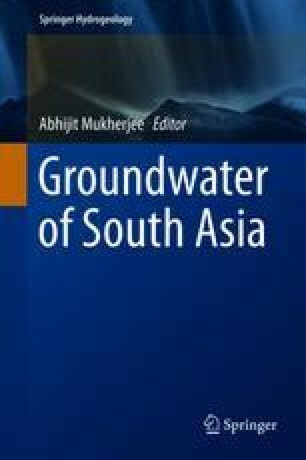 The main hydrologic flows, a water balance, and the trend of salinity in the groundwater are presented. Finally, available long- and short-term drawdown data of South 24 Parganas and Basanti to determine groundwater level and annual recharge trends. The assessment shows that Basanti’s groundwater resource is under stress because of increased groundwater irrigation. The critical state of groundwater reservoirs increases the danger of saltwater intrusion and raises the need for mitigation strategies. We are very grateful for the support provided by JGVK and its staff, including transportation, planning meetings with local people and for arranging various measurement sites. We would also like to acknowledge Dr. Abhijit Mukherjee, Assistant Professor in the Department of Geology and Geophysics at the Indian Institute of Technology Kharagpur, West Bengal, who assisted in discussions of the hydrogeology of the western Bengal basin. The drilling contractor Mihir Naskar provided most of the borehole lithologs and thus made a hydrostratigraphic model possible. Finally, we would like to acknowledge the people of Basanti for their assistance with the field work.